Tenso Europe Chamber Choir (TECC) is an initiative of Kaspars Putniņš (Latvijas Radio Koris) and Tenso Network Europe. It aims to unite the most talented young vocalists in Europe, in the first European chamber choir for young professional singers. This pioneering project benefits from the vast experience that Tenso has gained in the professional choral field over the last 10 years. The set-up of the project reflects both our ambitious educational goals and our experience with concert performances at the highest level. 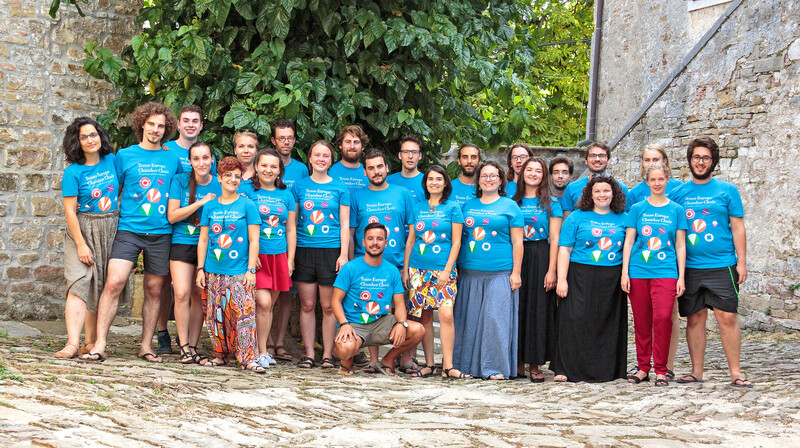 Tenso offers its large network to support the Tenso European Chamber Choir, to coach the young singers in the art of ensemble and singing, and to display their immense musical talent of the young singers to audiences across Europe. This new vocal ensemble offers young singers an exciting opportunity and gives them a head start in their careers. Tenso Europe Chamber Choir has its own website. Have a look at www.tensoeuropechamberchoir.eu. Concerts in Sigulda (LV, 8. August), Riga (LV, 9. August) and Tallinn (EE, 10. August).